Want to meet up along the way for coffee? Have questions about any of the locations we've visited? Drop us a line! We'd love to meet you. When we started mapping out our road trip north to Christchurch from the southern tip of New Zealand, it became clear that we had to make a decision early: east or west. Heading up the eastern shoreline brings you past the university city of Dunedin and eventually on to the Elephant Rocks and Moeraki Boulders. In our opinion, the main selling point of this route is that you can ONLY access the Mt Cook National Park from this side of the mountains despite what it may look like on a map. However, the wild western allure of glaciers, caves, and mountain passes had us heading up the left side of the Southern Alps despite it being far less direct. Heading northwest from Te Anau, we passed through the now familiar Queenstown area (to watch them Pats win the superbowl!) before continuing an hour beyond to the beautiful Lake Wanaka and it's bustling little town. Our luck with rain continued as downpours kept us from a clear view of the lake but we were able to keep ourselves entertained with a showing of the final Hobbit movie at the awesomely unique Cinema Paradiso. This theater/restaurant combo serves up some tasty grub for you to enjoy while lounging on La-Z-Boy recliners and couches...at least until intermission (yeah, they still do that) when they serve hot chocolate chip cookies fresh from the oven. Paradiso sounds about right! If you are still hungry for some reason, just walk across the street to the delicious woodfire pizza truck that seems to be permanently parked there serving up some tasty thin crust. Our Airbnb was located in Lake Hawea just 10 minutes up the road from Wanaka on an equally beautiful lake and far more quaint town. This served as a great launching point (after some delicious sustenance from the friendly Sailz Cafe) for the wildly climbing roads that hug these two lakes and head northwest over the Southern Alps to the sea. As the case with most of the southern island, there is certainly no shortage of photo ops all along this road but Haast Pass is regarded as one of the country's most stunning roads...and that's saying something! 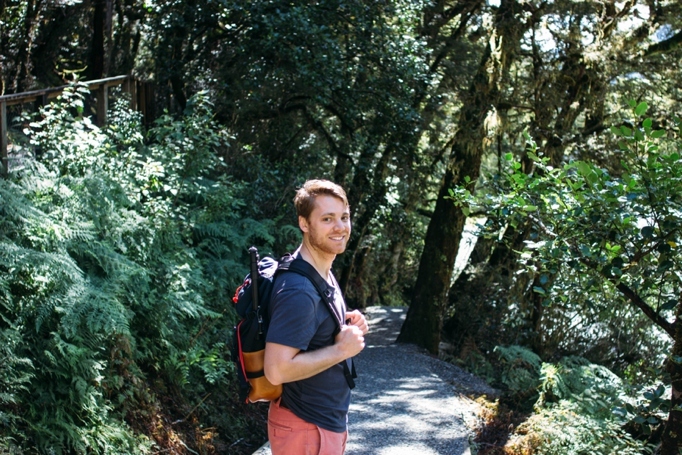 By local recommendation, we decided to break up the drive with a little hike just north of Makarora in Aspiring National Park on the Blue Pools Track. 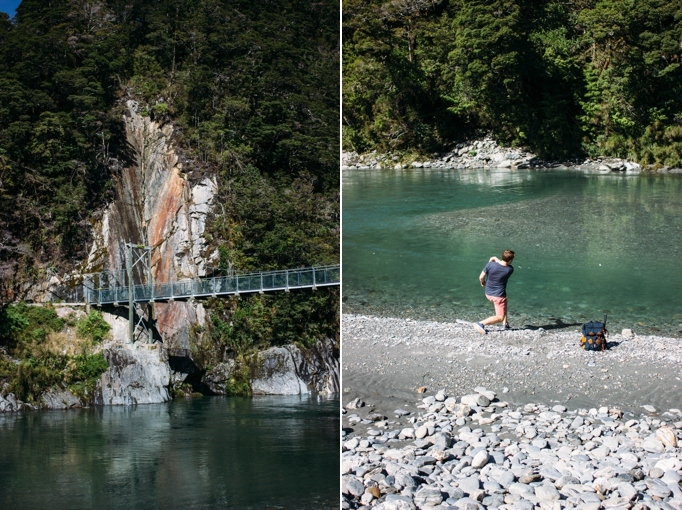 A 20 minute walk brings you across a swing bridge high above the Makarora River to crystal-clear, glacier-fed pools where you can watch fish swim by through the azure blue water; not to mention some of the best skipping rocks known to mankind. After a climate-confusing 5-hour drive through fields, mountains, beaches, and jungles, we made our way into the small backpackers town of Franz Joseph and it's like-named glacier. The weather around these icy peaks can be quite temperamental as we learned from only a handful of clear skied hours in the 3 days we spent there. There is no shortage of tour options by foot, 4x4, snowmobile, or helicopter but an hour hike on your own gets you nearly to the glacier's face. Just make sure to take heed of any warnings at the trailhead as the path takes you through a glacial valley that can flood out quickly with the right amount of rain. 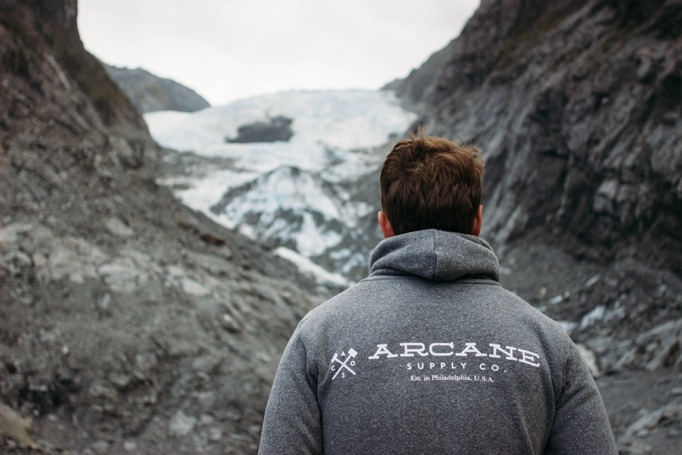 For those willing to splurge a bit (we opted out), you can top off your Franz Josef experience at the Glacier Hot Pools in heated glacial water and warm up from the area's surprisingly chilly weather. 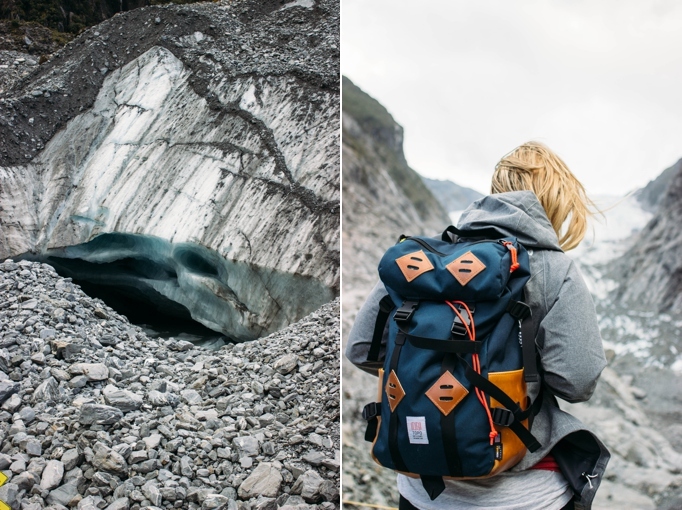 We're really starting to dig these glaciers - first from Iceland and now Franz Josef. Have any of y'all seen any sweet ice caps we should add to the list?